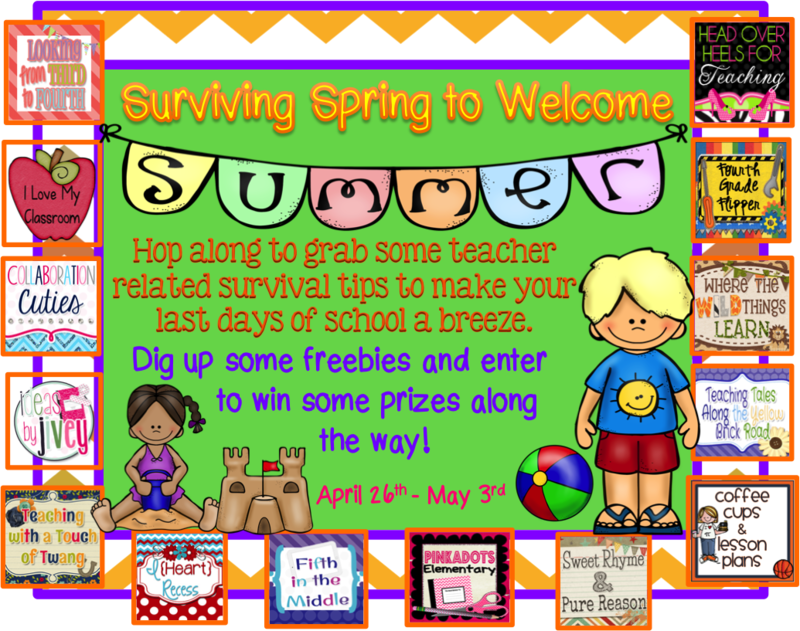 Pinkadots Elementary : Spring to Summer Blog Freebie Hop! Tips to Survive the End of the School Year! Spring to Summer Blog Freebie Hop! Tips to Survive the End of the School Year! The end of the school year is tough, but don't worry, we can get by with a little help from our friends. Since you are one of my sweet friends you are in for a super special treat. I teamed up with a BUNCH of my best blogging buddies to put together some survival tips and wonderful prizes for you. An amazing Classroom Friendly Pencil Sharpener! This blog hop will surly help you HOP through Spring to make it to Summer! How many days do you have left? Sadly, because of a ton of snow days, we are in session until June 23rd, but my May calender looks JAM packed and I am SURE the time will certainly FLY by. One of my secret tips is to stay organized and well planned. 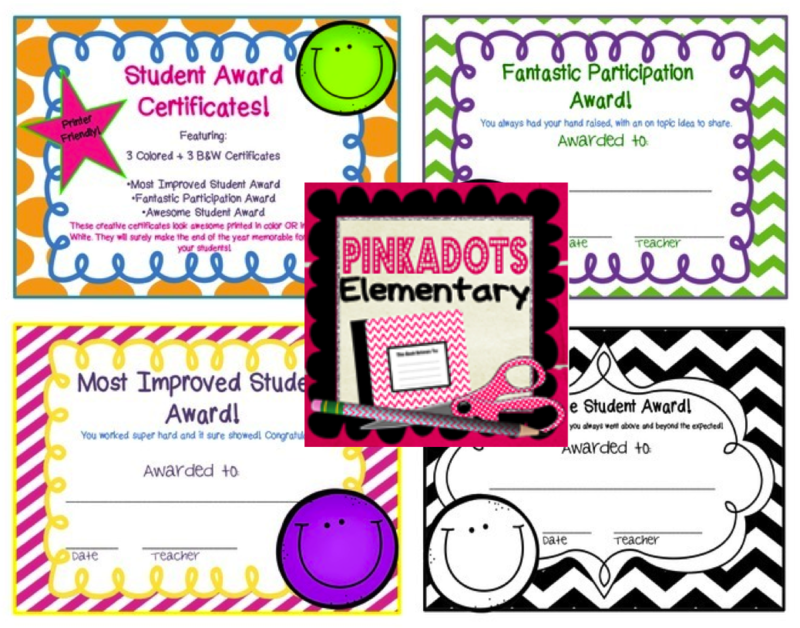 With these adorable, easy to print, ready-made, student recognition awards, you will surely be prepared and happily welcoming the end of the year. A few years ago, I'd always scramble for something to reward my students and always waited until the last minute. Now I simply print these out. I've even included a few black and white certificates for easy printing. You can give it to the student and have them color their own before taking it home or even paste it on colored paper to "pop" out! Enjoy this freebie by clicking on the image below! After entering my secret code in the above image in the raffle copter below, continue on the freebie hop by checking out one of my BBBs! Cute awards! And, I agree staying organized and ahead of the game is the key to our sanity! Thanks for linking up BBB! I love to reward my students! Thanks for the freebie, and I'll do my best to follow your advice and stay organized.